Fort Dunlop, Wingfoot Way, Birmingham. A monolithic building, and a sort of spiritual home of a product that literally keeps the world rolling, from a moped weaving precariously in a Mumbai street to a 747 touching down at JFK Airport. But legacy cannot be the driving force for any organisation and in these times of change and challenge, HR is having to grip the steering wheel to keep the rubber on the road. Rachel, give us an idea about your early life and career and how you got into HR? After A levels, I opted not to take up a University place and decided to pursue a career in retail, having worked in a shop during sixth form. I joined Currys national fast track management scheme and within six months, was appointed deputy manager of a brand new store in Birmingham. For me, this was the perfect start to a career, as it was so direct in terms of your success and your progress, which was all down to application and determination. Because I was proving myself, I began to move into progressively more responsible roles, and I also began to gravitate towards the more people management elements of my positions. Looking back now, I can directly trace my interest in HR to that point in time. During a career conversation with the then HR manager, I explained my passion for the more people orientated aspects of my job and she replied: “you really want a job like mine then!” We agreed a good first step would be to join the training team on secondment, delivering induction and sales training, and it was at this time that I began my CIPD. After six years with Currys, I was ready to take on my first official HR position, this time with a small company called Instarmac. Hiring me was something of a risk for them, as I had no practical specialist HR experience, and to say this presented a steep learning curve would be an understatement. 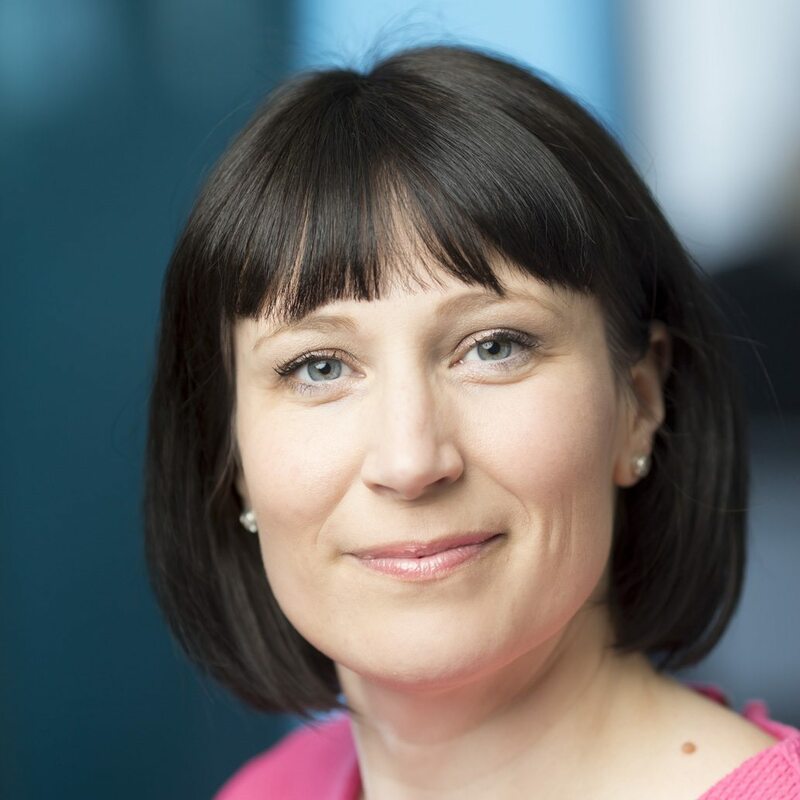 But this was a case of being confident and honest and being prepared to get out of my depth, and I learnt almost everything I needed to know on the job, including dealing with; tribunals, managing disciplinaries, and being up-to-date with employment law. The work I carried out has proven to be a solid foundation for that business, as they are continuously successful in The Times Top 100 Best Companies to Work for. Feeling the need to spread my wings, after four years I looked for my next role and joined Samworth Brothers at their production facility, Bradgate Bakery. Although it was a big upheaval to leave Instarmac, my instinct told me that I needed more, in terms of scope and career potential. This was a nonstop, 24/7 working roster across a three shift pattern, in a refrigerated environment. We made sandwiches for Tesco and Ginsters, and my role was about simplifying and updating the basics, and being comprehensive in communications, essential for a multi-ethnic workforce in a fast turnover, food preparation business. Despite what most would think, given the nature of the work, the company had a surprisingly low labour turnover and a highly engaged workforce, compared to industry averages at the time. This is indicative of how well people were treated by the firm. For many, English wasn’t their first language, so communications about high standards integral to maintaining food safety, and hygiene, had to be accurate and conducted regularly, with adherence to procedure, of course, crucial. Looking back, I remember that employer/employee relations were very good and a big part of that was engendering a feeling of being a part of this great family business, building responsibility and engagement to provide a product which was of a consistently good standard. The pace and non-stop manufacturing was never really the issue, it was more to place HR centrally, so that the employees trusted it, and the management had the confidence to ask us about how to manage changes before anything new or additional was agreed. I think that taught me a great deal about where HR should be positioned in an organisation. Samworth values were demonstrated consistently across the business, along with a commitment at all levels to have clear and honest communication. Even today, I say to my team, after a hard day when tough decisions are made, or maybe change is implemented which has not been universally appreciated, “if you can go home knowing that you have truly done what you believe is right for the long term, fairly and equitably, you will have peace of mind”. Tell us about your next career move. I loved Samworth Brothers and I developed so much best practice while working there, but I’d already set myself a career goal to become an HR director. I also felt that in order to make that move, I needed experience with a unionised workforce so, with three and a half years experience at Samworth behind me, I took a more senior role with SPS an American aerospace company, and part of the PCC group. It was an extreme, heavily numbers-focused environment and I had responsibility for three UK sites. Whilst it brought me the experience I was looking for, in terms of dealing with unions and gaining a deeper understanding of the financial aspects of business, I felt there was no scope to move HR to a more central position and, after 18 months, I was approached by a head hunter with an opportunity that was too good an opportunity to miss. As it happens, I stayed in aerospace for my next move, and this time, I immediately felt that Gardner Aerospace was an entirely different proposition. 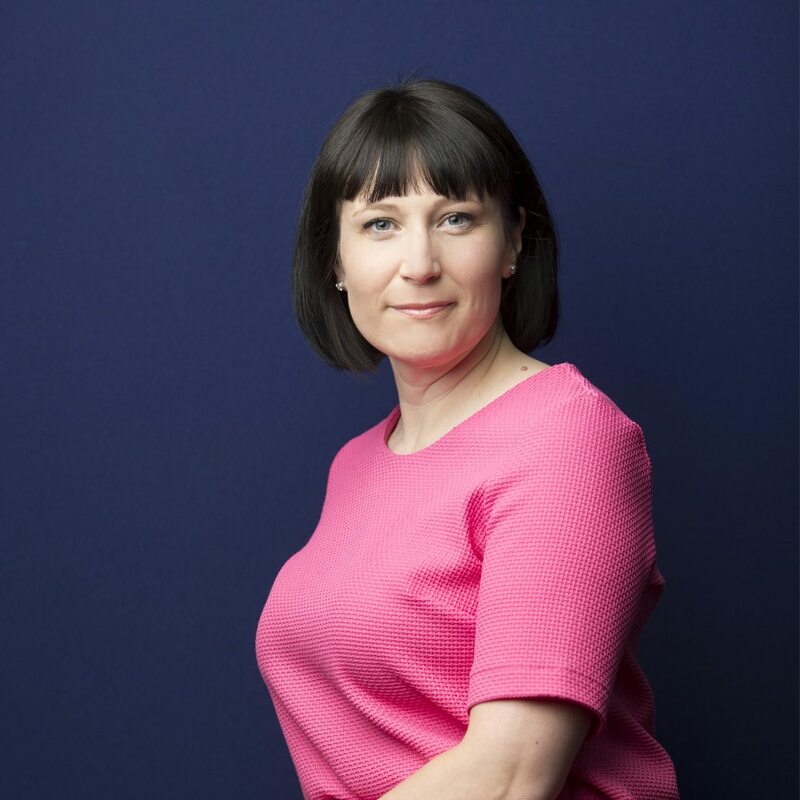 It was a smaller firm that recognised the need to introduce a strong HR practice, and I knew they were serious when, in my first week, I was invited to my first ever Board meeting. Pressure aside, I knew it was important to first really get to know what the business was about, and most importantly, I felt an immediate synergy with my boss, the CEO Dr. Phil Lewis, which really gave me the confidence to roll my sleeves up and get going. Phil had just been brought in by the new owners of the company, and was in the throws of a turnaround, a full-blown change of operations and, top of the agenda, was consolidation and centralisation. As it was, the organisation had a number of individual businesses, and the objective was to evolve a single approach to customer service, and the best way to achieve this was to create a shared services model, which allowed our production facilities to specialise in key areas and free them from non-core activities. I had the opportunity to build my own HR department under this new model whilst, at the same time, we were redefining our footprint and creating machining centres of excellence. It was incredibly tough going, as every unit had its own set of policies, different payroll, and large scale, fundamental HR projects to bring to fruition. It was hectic, exhausting and, as learning curves go, as steep as you can get. But along with my team, we achieved objectives on time. Having the opportunity to attend Board meetings was key to the success of our business transformation, and it opened up a two-way flow of correspondence which drove the HR agenda. In my opinion, having HR on the Board in any organisation is absolutely imperative. It says that the business is serious about its people and is enabling HR to be effective. Your next move here at Goodyear Dunlop, was very much a home coming for you. Give us an idea of the job proposition. HR Director, Martin Smith was retiring after a 42 year tenure at Goodyear Dunlop, and they were looking for a replacement. Obviously, these were huge shoes to fill, but I was not only motivated by the enormous opportunity the role presented, I grew up just down the road from Fort Dunlop. My dad had a garage business just down the road, and I have these pictures of me in a green velour jumpsuit, working in the garage, so I was always around cars when I was growing up. So yes, to me, joining Goodyear Dunlop indeed felt like a return home. I’ve worked at companies where HR is no more than the basics, I’ve even gone into an organisation where HR simply didn’t exist. But at Goodyear Dunlop, it was a mature, highly-structured framework, run by an efficient and effective team, with policies and procedures working at optimum levels. Clearly, nothing was ‘broken’, but they were still incredibly thoughtful about the selection process, and I believe I was hired because my approach to HR, whilst different to Martin’s, would serve to build on his very sound framework. So coming into a fully-capable HR team, with nothing broken, what are your key objectives? Going forward, it’s mainly about modernisation, talent management and succession planning. I’m also working closely with the Communications team on vital areas such as; embedding corporate social responsibility (CSR) behaviours and associate engagement activities. There’s a high level of commitment and loyalty at Goodyear, but I’m mindful of the attitudes among upcoming generations, so we need to work more on speaking the right language to young employees and would-be candidates. As a product brand, the organisation enjoys an incredible international profile of course, but the employer brand needs some work. Obviously, this is a massive and localised employer, give us an idea about how you recruit, and whether you are fully able to attract the skills and talent necessary for the business. As you would expect, we have a vast array of existing programmes and highly established routes into the business, designed to develop people at any stage in their career. This includes everything from undergraduate internships and postgraduate programmes, through to high potential, leadership and executive development schemes. Also, we are in the planning stages of our new school leavers recruitment programme, called GO18. This project is designed to encourage young people who may not have a fixed idea on their career path, to join a business and learn key skills, as well as a structured development programme. This is a vibrant employment area, with businesses vying for the same people as we are. We do lose quite a lot to other employers in the region, so we are developing a forward-looking career path, where their next role is mapped out with clear sign posts towards attaining it. Having that vision is integral to keeping people, and also building that employer brand in the talent attraction game. Much has been written about the radical changes in the workplace, five generations just one example, plus the whole employer/employee contract physical and psychological, how are you preparing as a business to account for this? Indeed, and that’s central to the modernisation of the organisation, right from the way we recruit, how we manage employee careers and develop people. I think this is a two-pronged attack – you can provide the facilities and opportunities, but you’ve got to encourage enablement and build the culture of selfresponsibility and confidence, for people to drive their own career. That’s particularly challenging when people are fully engaged in what they do, but movement is significantly more desirable than stagnation. Amazingly for an employer of this size, attrition is not an issue, most of our workforce stays for years, but I believe HR is fundamentally responsible for giving people ambition and the routes to achieving that. It’s fair to say that we have a giant pool of talent, and we do everything we can to retain good people. 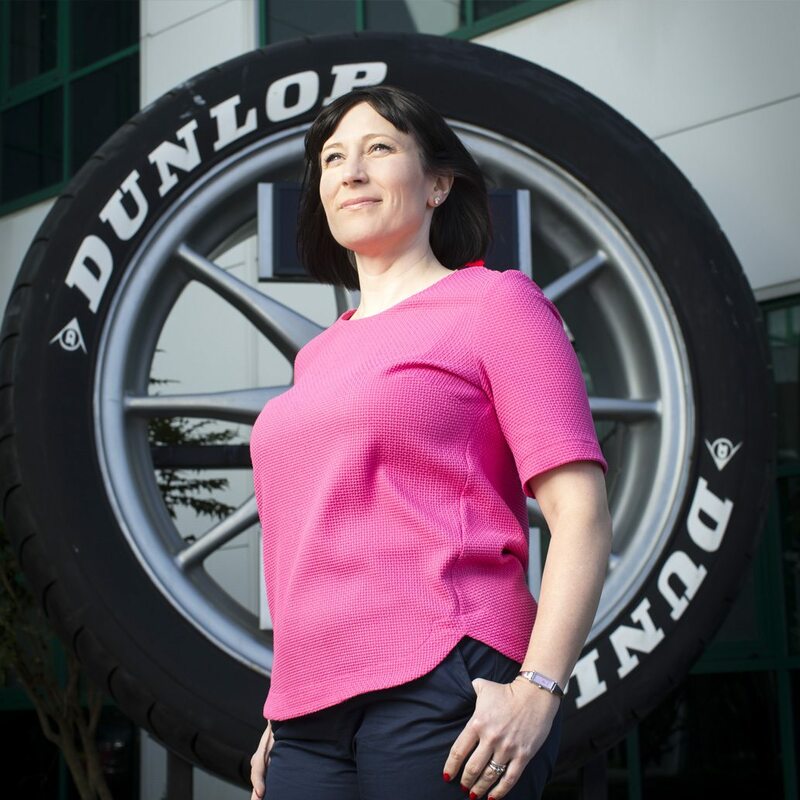 In terms of performance management, I can honestly say that I’ve never seen it done so well, as at Goodyear Dunlop. People are rated for their performance against pre-determined and mutually agreed objectives, and we also rate people against our leadership values. If you’re a strong performer over both categories, you receive a merit increase, and this is a standardised approach across the global business using proprietary software. Employer brand has grown in importance of course, but the perceptions of what an organisation represents has never been so acute. Indeed, you have to be an attractive employer that is accessible for potential recruits, who spend a great deal of time looking at the organisation from a number of different perspectives online. You have to be relevant to them, so that is a massive undertaking, particularly for a huge and traditional business such as this. As it stands, our online brand needs a great deal of development and that is underway. Our website is a corporate one, and I want people to be able to simply click through to a virtual tour, to really explore the operation and the vast array of career opportunities on offer. This is another fundamental aspect of the modernisation piece. For several years, Goodyear Dunlop has achieved Top Employer status in the UK and, in 2015 added Top Employer Europe to its accolades. It’s important to us to receive this independent endorsement and benchmark our HR practice against other industry leaders. But we won’t retain this status by being complacent, so the development of our online brand will count towards this. What work are you doing in terms of the muchdiscussed lack of a pipeline in STEM subjects which is proving such an important aspect of the economy? Going back to CSR, we are fully supporting the initiative to improve the STEM pipeline, and that starts with students in school. Through the STEMNET programme, we want to encourage youngsters to take computing and IT in schools and some of our associates will be volunteering in STEM schools to help achieve that. As a country, we have to ensure that we are competitive but, even now, the perception of a job in engineering can seem unattractive and lacking in glamour for many young people. We have to help build a culture where career opportunities are available for all, not just those who are academic. There is no point leaving kids in formal education if they’re not motivated. I believe that’s where the modern apprenticeship can do a lot of the running, and I want to make sure that, as an employer, we are committed and engaged, wholeheartedly. A particular focus for me is appealing to girls in regards to engineering, but I also don’t believe in quotas and creating a situation of inequality. It has to be organic, and that’s going to make it even harder to realise. So your opinion on Lord Davis’ review on having a quota of women on board in the FTSE 100 is not the way to go? Personally, I don’t believe it’s the best way of changing cultures. I’ve never felt held back, in fact in many respects, in non-traditional female sectors, I’ve felt at an advantage. You have to have broad shoulders, you have to have confidence and I don’t think forcing targets is a positive message, it’s about moving barriers. Women should be given a level playing field and be allowed to get on with it. So what is the next stage for HR, in terms of delivering the objectives of the business? There is a massive agenda and even with the resources at my disposal, it’s still a case of prioritising. Primarily, the business needs to be more flexible and see what we need to do differently. There’s the widely-held belief that a large corporation has all the advantages, in terms of resources, finance and capacity, but in this day and age, agility and speed of reaction is fundamental. You only have to look at massive corporates, household names with illustrious histories and market dominance, which were too slow to react, to see that complacency is a killer. Flexibility and agility have become corporate buzzwords and it’s easy to be blasé about their meaning, but to ignore it or pay lip service to it is simply not an option. Blindly sticking to the rigid frameworks of the past is a warning sign that any organisation is backward looking and in reverse gear. Our intention is to build skills yes, but also build in the capacity for movement, so that people are not stuck in a groove, if indeed progression is what they seek. Ultimately, we need to suit our customers’ needs and it’s an even more competitive market than before. In terms of new talent, we need to be super attractive, and once the right people are in, get them motivated and moving on a progressive career ladder. The new generation looks set to move about a great deal – more than their predecessors – but if someone comes in and plans to be with you for three years, it’s incumbent on any employer, STEM sectors or otherwise, to make those three fantastic years. We have to make the induction smoother, start it all before they even join, and take succession planning right through to all levels. I look at my career and realise that if you’ve got the ambition and learning agility, anything is possible. When I decided to be in HR, I wanted to be HR Director. Every life has its ups and downs, triumphs and failures, but if you remain committed, you will be rewarded. 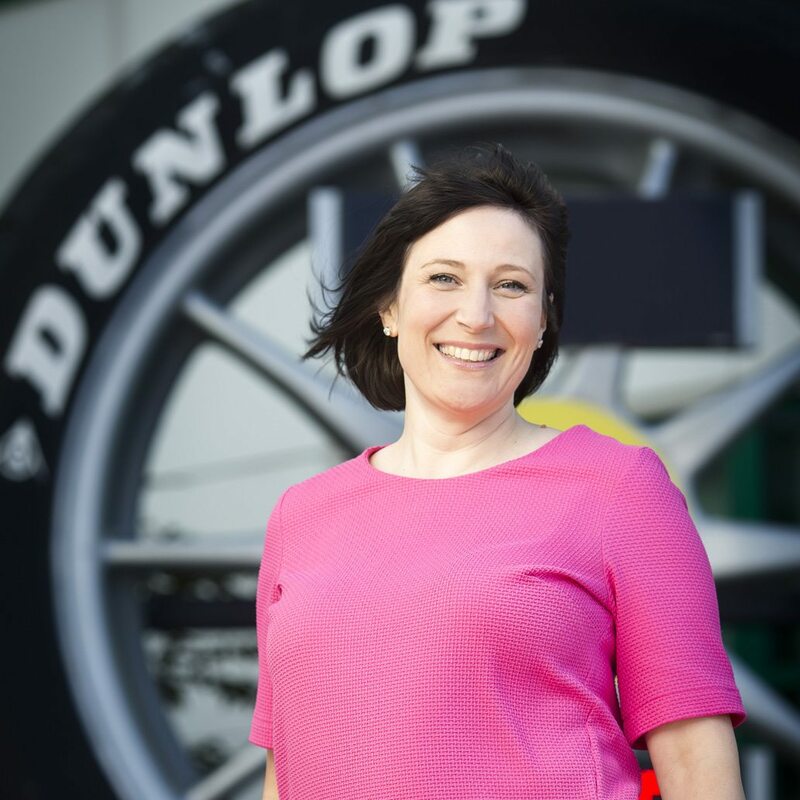 It’s my objective to make sure that the people that come to work at Goodyear Dunlop have all the resources and learning opportunities, to reach their full potential and develop a fulfilling career. That, for me, is the fundamental role of HR.